After breakfast, we visit Lake Suwa the largest lake in the prefecture which is situated in the center of Nagano. View the beautiful Mt. Yatsugatake, known as one of the "Three Great Storehouses of Mountain Vegetables" from the lake. When the lake is frozen, "Omiwatari" or "god crossing" appeared. Later we head towards Yatsugatake Outlet for shopping. Here, you can find clothing and souvenir shops with reasonable prices. Tonight, dressed in "Yukata" and enjoy a traditional Japanese "Nabe" (steamboat) dinner and not forgetting to relax yourself in one of the "onsen" (hot spring bath) within the hotel. Accommodation: Kawaguchiko Park Hotel (onsen hotel) or similar. After breakfast, proceed for a Tokyo city tour. Next, visit the famous Asakusa Kannon Temple. At the Nakamise Shopping Street, where colourful street filled with wide selection of souvenirs and traditional Japanese snacks. Next The Daiso, every item here is priced at 100 yen, with some exceptions. Thereafter, we proceed to Ueno, where you can purchase everything from food products, upscale fashions and other miscellaneous goods at reasonable prices. Along the way, we will drive pass Tokyo Sky Tree, Accommodation: Sunshine City Prince Hotel or similar. Assemble at Singapore Changi International Airport Terminal 2, for your pleasant flight to Osaka (via Narita). Upon arrival at Osaka, proceed to hotel for a well deserved rest. Accommodation: Osaka Ramada Hotel or similar. Enjoy a fun-filled exciting day in Universal Studios Japan! Step into the new magical world of Peter Pan's Neverland as you zip through the sky on the new "Hollywood Dream - The Ride". Universal Studios Japan complex includes 18 rides and shows, plus great shopping and dining, especially at the Hard Rock Cafe Osaka. Next, shop to your hearts' content at Shinsaibashi. Accommodation: Osaka Ramada Hotel or similar. After breakfast proceed to Kyoto, an ancient city with many notable and historic scenes. Visit the famous Kinkakuji "Golden Pavilion", originally built in 1394. Next, explore the Kiyomizu Temple, famous for its wide wooden veranda jutting out over an exquisite valley that extends to a panoramic view of the city. Next visit the Nishijin Textile Centre you can enjoy the elegant kimono fashion show and appreciate some of the fine creation of Japanese weaving. If time permits you'll drive pass the Gion Street, a former Geisha district and you might even catch a glimpse of Maikosan. Accommodation: Toyohashi Nikko Hotel or similar. After breakfast, you'll experience the mighty speed of Shinkansen "Bullet Train" and zoom off towards Tokyo. Upon arrival, proceed to 5th station of Mt. Fuji, the symbol of Japan (subject to weather conditions). Next, Gotemba Premium Outlets, shop for popular international brands at reasonable prices. Tonight, dressed in "Yukata" and enjoy a traditional Japanese "Nabe" (steamboat) dinner and not forgetting to relax yourself in one of the "onsen" (hot spring bath) within the hotel. Accommodation: Lake Kawaguchi Park Hotel or similar. After breakfast, proceed for a Tokyo city tour. Next, visit the famous Asakusa Kannon Temple. At the Nakannise Shopping Street, where colourful street filled with wide selection of souvenirs and traditional Japanese snacks. Next The Daiso, every item is priced at 100 yen, with some exceptions. Thereafter proceed to Ueno, where you can purchase everything from food products, upscale fashions and other miscellaneous goods at reasonable prices. Along the way, we will drive pass Tokyo Sky Tree. Accommodation: Tokyo Sunshine Prince Hotel or similar. Accommodation for Haneda route itinerary: Garden Hotel Narita or similar. A whole world of fun and excitement is waiting for you at Tokyo Disney Resort. Choose between Disneyland - the Kingdom of Dreams and Magic OR set sail for adventure, discovery and fun in seven ports of call at Disneysea. Accommodation: Garden Hotel Narita or similar. Hotel is not located in Tokyo city. It is near Narita International Airport. Accommodation for Haneda route itinerary: Tokyo Sunshine Prince Hotel or similar. Meet at hotel lobby and proceed to Japan Tallest Mountain - Mt. Fuji. Move on to Mt. Fuji 5th Station (Subject to weather conditions). Have lunch at Lake Kawaguchi-ko and enjoy the natural beauty surrounding Lake Kawaguchi. Proceed to Owagudani, a volcanic zone to see the 100 degree natural spring waters. Return back to Tokyo to shop at famous shopping district – Harajuku before returning back to hotel. Arrive at Nikko, the city of nature. You may visit the Toshogu Shrine, Monkey Mountain or the beautiful Kegon Waterfall. Scenic drive to the famous highland resort area in Nagano. Upon check into hotel. You may want to enjoy a hot spring bath. Arrive at Takasaki, Gunma, the capital city of Daruma Doll famous Zen monk. Next proceed to the famous Takasi Kannon. Continue to the historic town of Saitama – Kawagoe. You will be greeted by old storehouses that were built during the Edo period. Lunch at own expense before you put your hands for some DIY activities in this town. Return back to Tokyo. En route to Okachimachi, where you can see the Japanese people live &amp; do their shopping in the tiny little shops. Proceed to Asakusa Temple and Tokyo Tree (exclude Entrance fees). 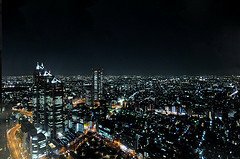 Shop around at Ginza, Harajuku or Shinjuku before heading back to hotel. Upon arrival own arrangement to Sapporo Hotel and free at leisure. After breakfast, own arrangement to Sapporo Station North Exit for Free Shuttle to Jozankei Hotel. 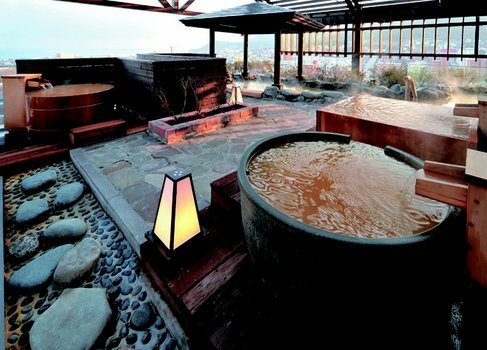 After check-in, enjoy the in and outdoor facilities in the hot-spring area. In the evening, enjoy a local Japanese dinner. Take a shuttle back to Sapporo. Free at leisure. After breakfast, own arrangement to Sapporo Eki-Mae Terminal for tour. 1000 – 1805. The tour will travel to all the main sites of Otaru, a town overflowing with history. 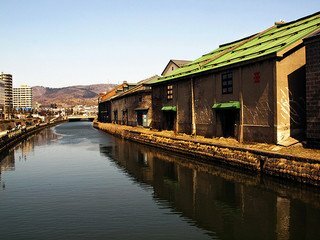 Otaru is a very charming town with classic buildings and structures including the Otaru Canal and stone store houses. This morning, take a bus from Sapporo Station to Niseko Station. Today, you may wish to join an optional ski activity. Rental of Ski Equipment Available. Free at Leisure, own arrangement back to Chitose Airport for flight home. Upon arrival in Narita/Haneda International Airport, be transferred to Hotel by Airport Limousine Bus. Arrive at Takasaki, Gunma, the capital city of Daruma Doll famous Zen monk. Next proceed to the famous Takasi Kannon. Proceed to Jogokudani and take a 40min stroll to see the Onsen Monkeys. enjoy a scenic drive to Nagano. Proceed to the Tateyama Kurobe Alpine Route (Optional for the 6 mode of public transport to Alpine : Y$10230 per person). Please take note that driver will not follow paxs to take the public transport. Visit the Unesco World Heritage Site - Shrigakawa-go Ogimachi Gassho Village. Continue to Old Castle Town – Takayama which also known as Little Kyoto. You may take a stroll down the narrow street with lots of shops and restaurant. Proceed to Yamanashi. Check-in Hotel to enjoy your onsen. Visit the old Japanese Healing Village in Iyashino-Sato, (Mini Shirakawa-go Village). Move on to Mt. Fuji Visitor Center. Lunch at Lake Kawaguchi-ko to enjoy the beautiful lake view. Enjoy a 10mins Lake Ashi Cruise ride. Proceed to Gotemba to enjoy some shopping at the Gotemba Premium Outlet. 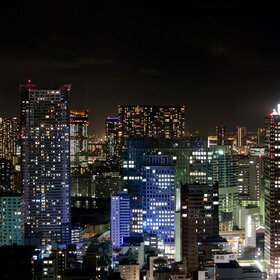 Proceed to Yokohama to enjoy the following choice of highlights: Instant Noodles Museum, Yamashita Park, Hikawa Maru Ship, Yokohama Tower (Exclude Entrance Fees), Yokohama Harbourland, Yokohama Bay Bridge, Chinatown. Return back to Tokyo. 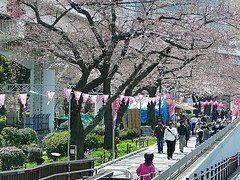 Proceed to Asakusa Temple and Tokyo Tree (exclude Entrance fees). Okachimachi, where you can see the Japanese people live &amp; do their shopping in the tiny little shops. Shop around at Ginza, Harajuku or Shinjuku before heading back to hotel. After check-out, be transferred to Narita/Haneda International airport for your flight home.